Finding Microsoft’s Virtual Servers must be one of the longest ‘drill downs’ in the Exchange 2003 System Manager. It’s as though one of Exchange server’s most important configuration settings is hidden away, rather than being visible as a top level folder. Windows Exchange Servers use the word ‘Virtual’ in many contexts. To begin with, one physical machine can act as a server for several Virtual SMTP domains, for example ourcomp.com and mergecomp.net. Moreover, in addition to SMTP, one Exchange Server can also control Virtual servers for IMAP4, NNTP and POP3. From another point of view, you could interpret these Exchange Virtual servers as aliases for physical folders in Microsoft’s IIS. 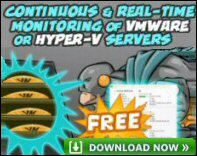 In a completely different context, the term Virtual Server is used in clustering. The Outlook clients connect not to the individual Exchange 2003 nodes, but to a Virtual server with a virtual IP address. Opposite is a diagram to help you navigate to the various Virtual Servers folders. Once you have found your Exchange 2003 server object, expand the Protocols folder. Each protocol has its own Virtual server. SMTP for MAPI clients (Outlook), HTTP is for OWA (Outlook Web Access). Here is good place to check for your web hosting server. One of the most important jobs in the Virtual Server is to configure any Filters that you set at the Global Settings, Message Delivery Tab. See Global Settings here. To find the screen shot opposite click on the Advanced Tab next to the IP address. Select the IP address and Edit, now the Identification dialog box will appear, see diagram opposite. At last you can check: Apply Sender, Recipient or Connection Filter. The access tab is where you configure authentication. Who will be allowed to use your SMTP Virtual server? Authenticated users – yes, but anonymous users? I think not, but you decide. The first section deals with setting limits – if any. For example, what would be the maximum number of recipients for your company’s emails? The lower section invites you to configure accounts to hold NDR (non deliverable reports). This is where you troubleshoot the location of the BadMail folder and the Queue directory. As ever, DNS plays a central role in name resolution. Most likely your servers are registered on the internet as being authoritative for your email domain. This involves MX (Mail exchange) records on the InterNic servers that point to your Exchange 2003 server. The other side of the DNS coin is that your server must be able to deliver outgoing email. If your server is (rightly) protected by a firewall delivering external email can be an extra challenge. The answer is to forward the name resolution to a Smart host on the outside of the firewall. See more on MX Records and DNS here. Configuring, Perform reverse DNS lookup, seems like a great idea to prevent spammers spoofing addresses in their evil emails. However, everyone that I have talked to has found that it slows down the system so much, that they put Reverse DNS lookup in that pigeon hole: ‘more trouble than it’s worth ‘. Once you discover where Microsoft’s SMTP Virtual servers are hiding, then you can get on with the important task of configuring the Exchange 2003 server to accept your email, while not relaying spam. Remember the link between Global Settings and SMTP filtering.